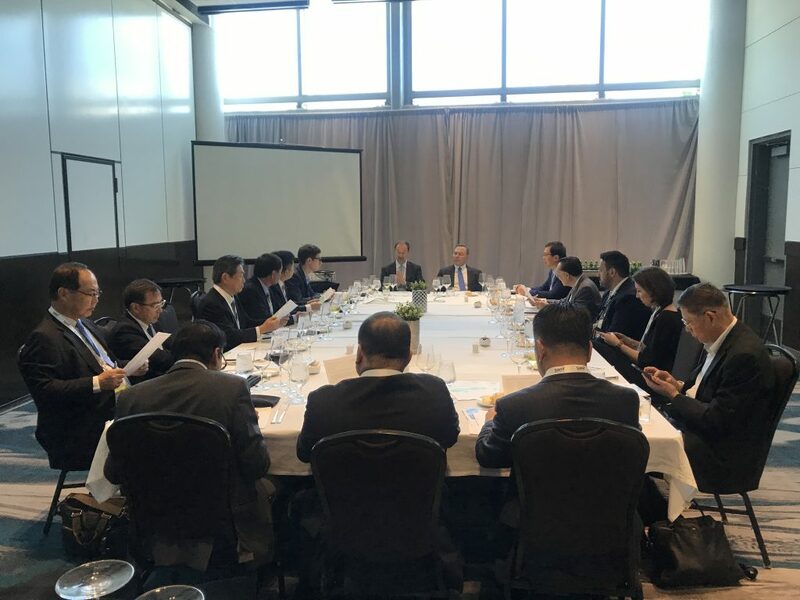 Cary, NC – April 15, 2019 – Leaders from the global nonwoven associations held a joint strategy meeting at the IDEA® 2019 Conference, in Miami Beach, Florida March 26, to advance coordination on two key issues common to all: free and fair trade in nonwovens, and the growing concern about Plastics in the Environment and the need for coordinating messaging on the issue. “The shared vision of our association leaders is to effectively represent, protect, and actively promote common interests of nonwovens and their related industries throughout the world. I believe our initial steps on these two current issues are a good start toward global coordination,” said Dave Rousse, INDA President, organizer of the meeting. The group agreed to encourage the adoption and use of this definition in the Harmonized Commodity description and Coding System (HS) to achieve a more relevant classification of all nonwovens and nonwoven articles in tariff classifications. The group was presented with INDA’s overview of how growing public concern about Plastics in the Environment can impact nonwovens with some guidelines on how to manage the issue. Additionally, EDANA presented the current state of play on the European Union Single Plastics Directive and its development of Extended Producers Responsibility.